Achonu Love is one of Kogi State fast rising young gospel minister. The Makurdi, Benue State based music minister started singing from an early age of 4 via the support and interest of his late mum to see him serve God through music. Achonu Love is a song writer, an instrumentalist, and a one time nominee of the Kogi State Gospel Music Merit Award. He studied law from the prestigious Kogi State University. Currently he is serving God at Dunamis International Gospel Center North Bank Makurdi under the spiritual leadership of Barr. Pastor Abraham Godwin the resident pastor of the church and Dr. Pastor Paul Enenche the senior pastor of Dunamis International Gospel Center World Wide. Achonu has ministered in various meetings which is backed up by the heavy presence of God. In this song Achonu clearly identifies that he is nothing without God and that nobody can replace God’s place in our lives. This spirit filled song will take you deeper in appreciation to God for all what he has done for us. 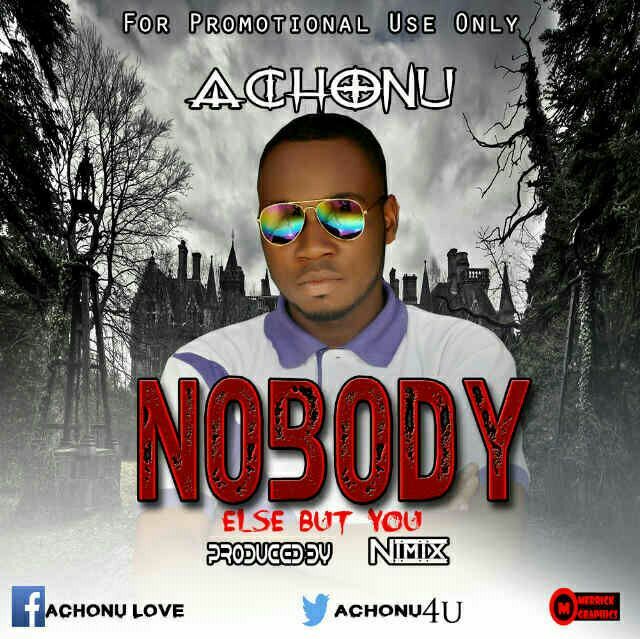 Nobody Else But You was produced by award winning music minister nimix. God bless you. Photo: 25yr-old woman who thought was expecting one baby gives birth to quintuplets…all girls!